Check in for in-depth information on recent sales and hot deals in the market. .
Short and sweet summary: Quiet winter holiday season. The Bay Area continues to grow. We shall see what the spring market holds but my prediction is strength and continued demand locally. Good properties are still getting snapped up. “Deals” are out there but require some imagination. Ask for details on that! Sold! : 1242 38th Avenue ($1,400,000) Exceeded owner’s expectations again! This is a wonderful, custom built home that is likely the nicest property every constructed in the Outer Avenues and would compete in terms of quality and sophistication in any area. Well worth having a look for design ideas for your own home. The quality is the best I’ve ever seen and the design and flow of the home is timeless. *Now conducting transactions through Bitcoin to cash exchange. Low Fees. Ask me how. Elementary School Rankings in SF! Hello and than you for visiting my site. I’m now with Alain Pinel Real Estate! Same phone, new email, same knowledgeable, honest service. Going with a new format here at SF Property Report. Instead of market summaries, I’m going to leave stories of recent transactions, referrals and links to listings and real estate news that I find relevant and interesting. The market’s been going up for over 5 years. I think you get that! I will definitely let you know when that changes. In the meantime, new taxes, new year, same tight inventory and high demand. The time to buy and sell has been when you are ready. There’s not been a way to time it. If the stars align and there’s a life change / opportunity for diversification of assets / need to sell or buy, than that’s what has brought the market to where it is today. Our strong local economy (tech) and a wonderful place to call home has created the fastest moving, strongest real estate market in the country since the end of the recession. Contact me if you’d like to discuss buying or selling and what’s happening in your specific market. Every property in the Bay Area is HIGHLY DESIRABLE. I’d appreciate the opportunity to show you how yours is unique and how I can get you the highest price if you’re considering a sale. “We used Matt to sell our family home out in the outer Richmond district of SF, and we had some specific requirements: Someone who really had their finger on the pulse of the market for homes like ours, someone who had access to solid contractors and crews, and someone who could play the role of project manager for all the preparations. Matt deserves six stars on all of these--he and his contractors did fabulous work, showed great taste and imagination, and in the end got us more for our house than we expected. He kept us up to date without overburdening us with excessive details. Overall, a fantastic transaction! I’ve been quite busy since the last summer and start of fall selling property at www.brisbanevistas.com and www.parksandgardenhome.com My clients from 234 Santa Clara in Brisbane are in contract on the upleg of a 1031 tax deferring exchange. We were able to get them a great replacement property with their first offer. Turns out that the entire proceeds from their purchase are being donated to the ASPCA. The sellers owned their property for decades and they are getting a new investment property closer to their own home while the proceeds from their purchase are going to a worthy cause. Win-Win! 819 27th Avenue is in contract after receiving 12 offers on the offer date. 14 days on the market which is standard here in San Francisco’s fast moving market place. What wasn’t standard was how I went about it. Every property presents an opportunity to create a unique selling situation that can bring a higher price. I specialize in getting great deals for my clients buying homes and use that knowledge to make sure my sellers get the highest price possible for their properties. I’ll keep you posted on my next listing as soon as it’s ready. I’m working on several buyer inquiries ranging from multi-family investments to larger single family homes. If you’re interested in finding out what your home is worth, I’m happy to stop in and give my thoughts with a follow up report that provides comparables, market statistics and answers any questions you may have. If you’d like to reach out with questions / comments feel free to call 415-240-9901 or email me at mattc@apr.com! Hello Everyone! First a bit of housekeeping. I’ve moved over to Alain Pinel Real Estate! Same phone, new email, same knowledgeable, honest service. You’ll be receiving a note in your inbox soon with updated contact information. Late Spring MARKET UPDATE: Generally the market has had a strong spring. Investment property is at all time highs. Luxury homes are selling at a reasonable pace. Starter homes in outlying districts are getting snapped up. Remodeled homes in good locations are in very strong demand and in moderate demand in less appealing locations or with lower quality finishes. The lack of property on the market and the speed at which they sell frustrates buyers but provides a selling opportunity. The lack of inventory seems to be due to indecision about selling and leaving “money on the table” since the market continues to rise. Property owners are also questioning tax strategies and wondering whether they may save on capital gains due to changing tax codes. On a personal note, after the 2000 dot com bomb I give that factor a significantly lower amount of weight measured against other reasons to make a financial decision. Interest rates continue to spur demand and after a modest bump up early in the year have come back down to near historic lows. It’s never been easier to sell a property in San Francisco. Condominiums continue to build momentum after a down year in 2016 and we’re seeing some sell in competitive situations but they are still lagging their single family counterparts simply due to supply and demand. Increasing costs of new construction have begun to curtail new development. Once the current pipeline peaks and the flow of new units begins to decline, I’d expect demand for existing units to increase proportionately. The market is in a similar position to the mid – winter post. More listings are coming out as are more buyers! Interest rates are higher but remain at levels that are not giving many new buyers much reason to pause. If anything, the expected increases are stimulating demand before the rates go up further. That, coinciding with the spring increase in inventory not being quite as vibrant as we typically see has kept single family homes in very strong demand with multiple offers on most, if not all new listings. It’s never been easier to sell a home. Condominiums continue to build momentum and we’re seeing some sell in competitive situations but they are still lagging their single family counterparts simply due to supply and demand. This is my first week at Alain Pinel and I’m looking forward to supplementing this quarterly update with significantly greater detailed graphs and a consistent newsletter with similar offerings as well. I’m going to hold off getting into further detail at this time and will update once I’ve settled in later this month. Please don’t hesitate to reach out if you have any questions. I hope everyone has had a great start to 2017. I’ve held off a post in 2017 on the market because, aside from strong demand in all areas there was strong demand last year, it was impossible to make any predictions due to the emotions involved with post election and inauguration events. That said, the local market has remained strong throughout. I had clients who made a strong, clean offer the day after the election that was well over the list price and they did not get the property. On that day there were fewer offers than we’ve seen on the average property since the election, but there were still a handful and the property sold at a great price. Selling a home in San Francisco, (provided you are working with a qualified listing agent) remains far easier than buying a home. 30 – 50 disclosure packages being sent out to prospective buyer’s agents on entry level homes and receiving 20 + offers on the offer date is just too competitive to make purchasing a home in the current, limited inventory market an easy thing to do to say the least. I’ve had clients who were able to do it but in order to buy property you need to move decisively and make a strong, “clean” offer. Clearly, our local economy is absorbing the new condominium inventory as well as available new apartment buildings that are leasing which opened up in the last year and a half. Inventory will not increase significantly so there would have to be significant outside factors to inhibit continued further growth. National economic and political forces will have some impact in the future, though to what extent is impossible to predict until there are more “cards on the table”. Many economists are waiting to hear the current administration’s specific plans in regard to tax programs, health care and the resulting consumer sentiment / reaction. It’s going to be interesting. San Francisco and the Greater Bay Area remain a vital economic center of California and the US and seem to be on a path which will continue that trend. As long as that happens, Short term down markets will be vastly outweighed by long term gains. The speed with which the Bay Area recovered from the Great Recession hasn’t been lost on current buyers investing in what they see as the place they’d like to live for a long time. If you do need to sell, either residential or an investment property, I’d be happy to provide details how to take advantage of all that demand and get the highest price possible. It’s a seller’s market, not a sellers agent’s market. A great listing agent works hard to make the demand work for the sellers. Hoping everyone had a wonderful Thanksgiving holiday. Each year we head into this season with an understanding that there will obviously be less time for selling and buying real estate. Anyone who’s read my posts or heard me talk about the holiday market knows that I always find a client or two a deal at this time of year due to a lack of buyers due to holiday obligations and sellers looking to move property despite that fact. Those are usually the way things shake out. This year? I think that, despite the election results, that will be the case again. Long term thoughts… I think that I’ll reserve specific long term thoughts on the national economy for the new year. We’ve all seen that interest rates have ticked up around a ¼ to ½ a point so far. I don’t think there’s much more room to run there. Too many other developed countries with significantly lower rates and far too many mortgages in areas of the US with lower average incomes that won’t be able to handle an increase after adjusting rates. That’s why they’ve stayed low for so long and why they’ll remain fairly low in the coming year. That much I’m predicting. The budget and taxes for ‘17 are already done. 2018 is the bigger mystery which will unfold as the new administration takes office. Things I am keeping in mind: 1) The fact that the San Francisco Bay Area continues to develop as the heart of the technological world. The move from Silicon Valley to San Francisco for many startups and established technology giants has been substantial. That’s an engine for growth that may have ups and downs but will sustain demand for housing at significantly higher levels than were ever seen prior to that change in mindset. 2) Proximity to urban centers will continue to become more of a priority for the foreseeable future. How California, the Bay Area and San Francisco will be affected by this priority and other unforeseen economic and social changes will be interesting to watch in the coming year. 3) Where do you want to live? That is always an important question. I’m betting the Bay Area is going to continue be a popular answer for a long time for both those who’ve grown up here and for people seeking to relocate to an exciting, thriving economic and cultural center. Prior Post: Welcome to the SF Property Report. Happy 4th of July! It’s traditionally a slower time in real estate in San Francisco and that seems to be so in some areas but not in others! Working in Bernal Heights this week, 113 Newman, a quirky but appealing cottage of (maybe) 1000 square feet had 13 offers. Quick close coming, per the listing agent which means cash most likely? Condominiums in the Inner Sunset that are brand new (empty lot purchase in’13, now four luxury units. 715-717 Kirkham) received multiple offers this week as well. I expect to see price reductions on homes listed for more than 1.5M and the same for condominiums but I’d blame the pricing of the property more than the market. Perhaps the higher priced properties take more than two weeks to get offers (So?) but it’s still a very strong market. Previous Post: This a modified mid-spring update as the market has begun to move again in some areas and others, not as much but it’s still quite strong overall. We’re seeing that condominiums, particularly in areas with more single family homes, have taken longer to sell. The most value a buyer can find is in a condominium that needs updating. Beatiful, spacious and remodeled condominiums continue to do well, often receiving multiple offers. In between the two, there are some that take longer to sell and possibly require price adjustments but they do sell. Another significant factor is the pipeline of new condominiums selling with more on the way. Where people who would like to see the market go down are getting confused is that these properties are selling. They’re just taking a bit longer. There’s been no significant move downwards. Just a steady supply and an unsteady stock market and Presidential race. Condominium prices remain firm. Single family homes below $2,000,000 are seeing the greatest increase in demand. In all districts of San Francisco, single family homes sell within weeks of their list date. Value can sometimes be found by making offers on tenant occupied property as most buyers want move-in ready homes. 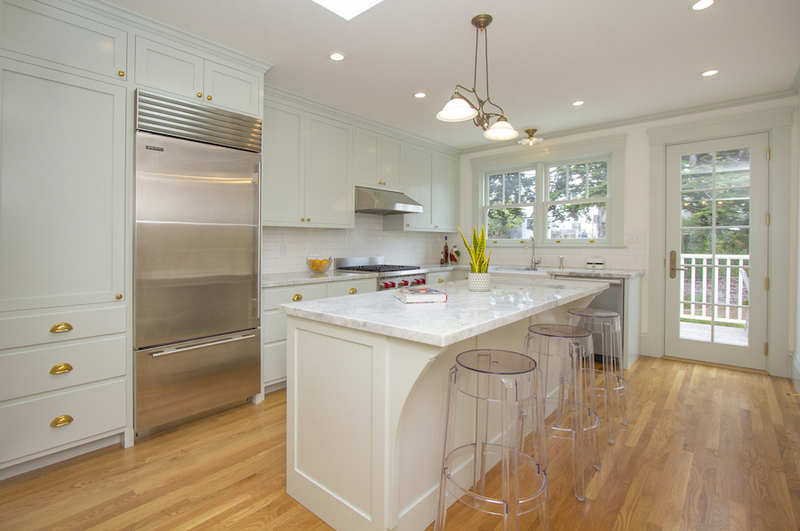 “Cosmetic” fixers aren’t showing much value as the cost of updating often exceeds the difference between their price and that of a similar remodeled home. Above $2,000,000 there was talk, and some say it’s still out there, that the high end of the market is weaker. I disagree. Statistically, 17 days on market is the average in Districts 5, 6, 7 which comprise most of the center and nothern ends of the city where these homes are found. That’s not a long time. That’s for an average home price of $3,666,000 and covers 42 sales that closed since mid - February. (I did take out two sales that were outliers and on the market for 6 months due to unusual circumstances. I don’t feel they contribute significantly to an argument for or against the current market climate) It seems reasonable to me that the average buyer wants to take more than 17 days to purchase a home that clearly has more going on than a home in the entry level price range. Coincidentally, in those same districts where there are fewer “entry-level” homes, the number of sales that closed escrow is 20 with only one taking 60 days because it fell out of contract before going right back into contract. The average days on market was 25, so go figure! Average sale price of homes closing under $2,000,000 was $1,519,000. Average for all homes in districts 5,6 and 7 was $3,130,000. The local economic forecast remains quite strong. Influence by international economic difficulties has been thus far muted by the strength of the local tech boom. Unofficially, growth in the Valley in '15 was about 5-7%. This year is expected to be about 5% as well. As long as the Technology industry is growing locally, rents will stay at or near current levels and sales prices will be be maintained, if not increasing. Influence by increasing interest rates has not changed and with the volatility of the stock market and the upcoming presidential election, not much movement is anticipated. Rates are lower right now than the were after the Fed raised rates earlier in the year. In short, it's easy to sell your home if you're relocating but challenging to move up to a larger home without enough cash reserves that enable you to buy and then sell. Bridge loans are possible and can be a way to get the home you've been looking for without having to sell and then rent while finding the right new home. The market is seeing strong and growing levels of activity as inventory has come on the market but in less supply than anticipated. People just aren't selling. They are, however, buying. Market entry homes and condominiums are seeing the highest levels of activity. Desirable homes of all types in great locations are selling very well. The high end of the market, with the exception of the aforementioned best of the best, is slower but is moving along. Marketing for these sales should be prepared accordingly. Contact me if you'd like details on that.